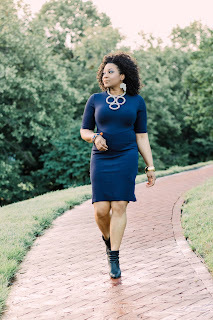 I cannot tell you how excited I am to be bringing to life something that started right here on AvaBella's Indie Blog! Just 1 year and 3 months ago, I wrote my first post about #SipLocalKC. When I started the series, I knew that Kansas City's "sip economy" was growing, but I honestly would not have guessed that you all would love the series as much as you did! That's when I knew that I had to do something huge for the city, my city! I have spent many days wanting to do more for the town. More than just my music. More than just producing events. I wanted to take one of the best parts of our growing and thriving city and take you with me as I continue to discover my favorites and hopefully help you discover some of your own. This is what I came up with! With all of the love and support that you all have shown me; this is my way to say THANK YOU! Special thanks to Dott Boss Restaurant at the Hotel Indigo (Downtown KC) for being our host venue! Special thank you to KC Wineworks for being our very first "featured sip"! Thank you to Endia Lasker for your awesome heart and your amazing art! Thank you to the host with the most, Shawn Edwards for being completely awesome! Thank you 'The Sips' Jazz Trio... little big cousin K.C., you're like the best family anybody could ever have - your spirit is beautiful! With that said (if I haven't been lighting up your feed already), I officially introduce to you, the #SipLocalKC Tasting Series + Launch Event Celebration! KANSAS CITY, MO - #SipLocalKC announces its Monthly Tasting & Launch Celebration, on Friday, August 10, 2018 from 7:00 to 9:00 p.m. at Dott Boss Restaurant in the Hotel Indigo, Downtown, Kansas City, Missouri, 101 West 11th Street, in Kansas City’s Downtown neighborhood. The event will be a wine tasting hosted by Fox 4’s Shawn Edwards, an art display by local painter Endia Lasker, and entertainment provided by ‘The Sips Jazz Trio’. The featured “sip” for the month of August is KC Wineworks wine and the tasting will be led by the owner. The full Dott Boss Restaurant bar and menu offerings will be available for purchase during the night. Both general admission tickets and VIP gift bags and tickets are available. There will also be a raffle for one (1) VIP ticket holder to win a trip to Cancun provided by Les Brown protégé’, author and speaker, Dave Anderson. All VIP ticket holders will receive a gift back from series event partners upon arrival. Other local businesses are also donating discounts, products, and gifts for the VIP bags. Melissa Ramsey, owner of Assilem Media Group, LLC, and founder of the #SipLocalKC Tasting Event Series, says about the series, “Join us to kick off the first in a series of fun community events to raise funds for local organizations, to raise visibility of the local “sip economy”, and to begin our #SipLocalKC passport campaign. We are truly honored to be a National Black Philanthropy Month 2018 featured event”! Tickets for the event on Friday, August 10th at #SipLocalKC are $20 for general admission and VIP tickets will be $25 at the door. Advance discount tickets and discount VIP tickets may be purchased at http://SipLocalKCLaunch.Eventbrite.com. You may also make a donation to the Majestic Refuge Nonprofit organization via our Eventbrite page or the night of the event. 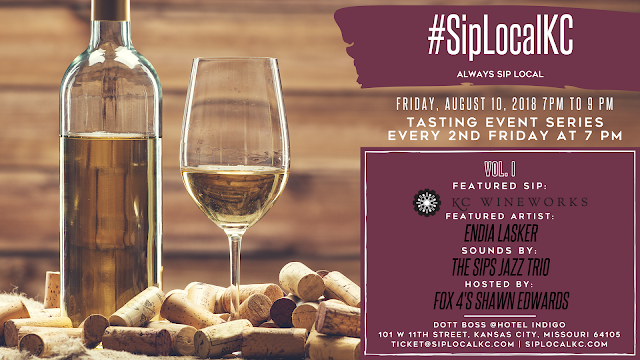 All #SipLocalKC tasting tickets purchased in advance include entry into the event and the tasting. More information is available at http://www.Facebook.com/SipLocalKC or by emailing contact@AssilemMedia.com. The #SipLocalKC Monthly Tasting Series brings a strong commitment to consistently raise the visibility of local coffee roasters and shops, breweries, wineries, and juicers while helping customers discover their favorite local "sip" offered in Missouri and Kansas. 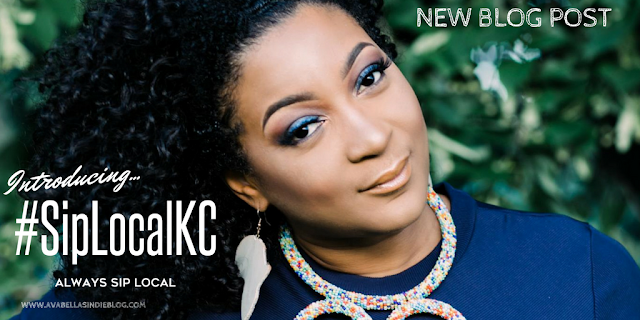 #SipLocalKC is a tasting event series, every 2nd Friday in Kansas City, Missouri + Kansas created by Assilem Media Group, LLC's founder, artist, author, and MUSICprenuer, Melissa 'AvaBella' Ramsey. The ongoing monthly tasting series will feature the best of the best in wineries, coffee roasters, breweries, and juicers that Missouri + Kansas have to offer. To be featured or for VIP gift bag inclusion; email Renee' at contact@AssilemMedia.com. Get your tickets without leaving the blog! What does my general admission ticket purchase get me? What does my VIP admission ticket purchase get me? Call 323-484-3751, Monday through Friday from 9am to 5pm Central Time. (Additional $2 charge for ordering by phone). Tickets can be purchased at the door, the day of the event for $25 for general tickets; $35 for VIP tickets. We are not offering any military, senior citizen, or other discounts for #SipLocalKC events at this time. The name on the ticket must match the name on your valid state ID, may only be used one time, and are non-transferable. Eventbrite charges a 1% of the ticket price and $0.99 per paid ticket plus a 3% payment processing per transaction. The easiest way to get your tickets is to find your email order confirmation; tickets are usually attached as a PDF file you can print. Can't find them, having trouble printing, or not sure if you have an Eventbrite account? Just enter your email address at eventbrite.com/gettickets. You can also log into the Eventbrite app. If you think you typo'd your email address, you can check here. The easiest way to get your tickets is to find your email order confirmation; tickets are usually attached as a PDF file you can print. Can't find them, having trouble printing, or not sure if you have an Eventbrite account? Just enter your email address at eventbrite.com/gettickets. You can also log into the Eventbrite app. If you think you typo'd your email address, you can check here. If you have your ticket on your phone; have your attached tickets ready, pulled up, and visible at the door. No ticket holds are available for #SipLocalKC events. - Metered parking along both Baltimore and 11th street are FREE after 6:00 PM until 7:00 AM if you'd like to stay a while and enjoy the Dott Boss eats (the full restaurant menu is available until the end of the night)! How do I add my business’ item to the VIP bag? Will I have a seat at the event? Tables and seating are on a first come first serve basis as we will be sharing the Dott Boss Restaurant with its Hotel Indigo guests. Is there a way for me to get updates as the event gets closer as well as on the day of the event? You were automatically subscribed for updates from #SipLocalKC so you will receive updates, this FAQ list, and information from us about our partners. Don’t worry, we will not sell or share your email address.